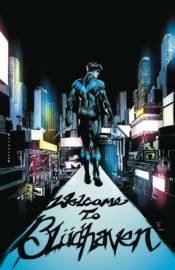 Nightwing takes off for the city of Bl�dhaven, hoping to find a fresh start. Instead, he finds foes who've waited years for payback against the one-time Boy Wonder as a serial killer stalks the streets, framing him for crimes he didn't commit. Collects NIGHTWING #9-15!